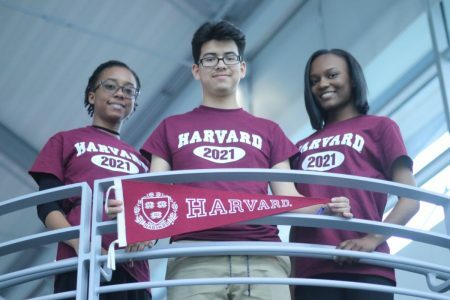 If you were to visit a Harvard University freshman computer science classroom this year, you just might see Winning Futures graduate T’Ajmal Hogue chatting confidently with her fellow classmates. If you had seen her as a sophomore at Cass Tech High School, she likely would have been standing alone. “I would excel academically, but that was really all I put my mind to, which made me less confident in social situations,” she said. She credits her mentor with her personal growth. After completing Winning Futures, T’Ajmal began to believe in herself and set a goal to step outside of her comfort zone. She said she had performed more than 300 hours of community service with the club, which has made her much more comfortable in social situations. Her mentor and her community service have helped her grow in another way, too. “I am more grateful for things that I have in my life today,” she said.